FYM grew up with parents who liked to record the entire HBO free preview weekends on VHS (which we would watch until the tape wore out). 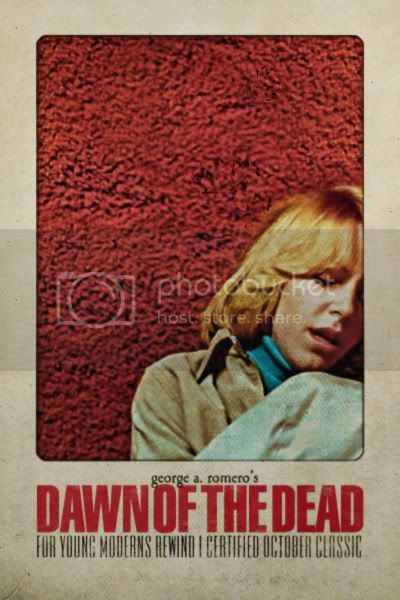 On one of those VHS recordings is where we first discovered George A. Romero's Dawn of the Dead. (as heard in the trailer) The Italian prog band Goblin, set the foreboding tone throughout the films soundtrack. Their haunting march "l'alba dei morti viventi" features an ominous walking baseline, paired with undead sonic ambience, cascading into space. The key to Dawn of the Dead's success for us, mainly has to do with the location. Romero's choice for the bulk of the film to take refuge inside a shopping mall is brilliant! Not only does this choice play as an overt commentary on the nature of consumerism, but it's also devilish fun watching the cast romp around (in child-like spirit) fully taking advantage of the deserted suburban shopping center as they acclimate to their new home. Romero takes great care sequestering the audience's imagination in his world of the undead. Makeup art direction and stunts by Tom Savini (working in a non-digital effects world at the time) provides an organic realism, now lost in today's new wave of Zombie cinema. 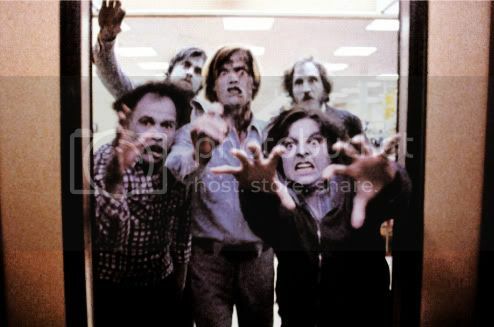 Dawn of the Dead still holds up today. Even with some pretty intense social metaphors, and graphic violence, the movie comes off as an entertaining adventure, that doesn't take itself too seriously. We hope you keep this FYM Certified film in-mind the next time you find yourself lurking around Scarecrow Video in Seattle (or your favorite hometown indie video store).